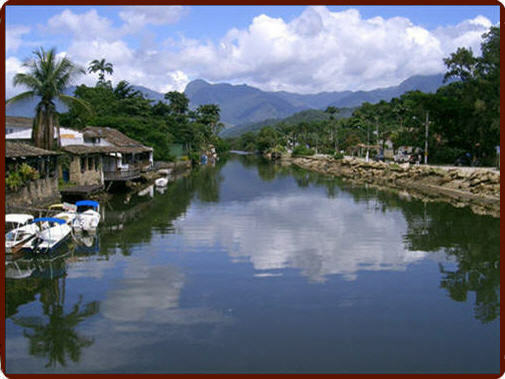 All About Brazil - Waterfalls, beaches, wildlife. Find information about immigration and visa options for Brazil. See the FIFA Website about the Brazilian Football Team and only 5time world cup winner. "Welcome to All-about-Brazil.com , the site For tips ON what to See and What to Do in brazil"
You are thinking of going to Brazil? For travel or for staying longer? In any case that's already a very good thought as this country has a lot to offer. I have been living, working and travelling in Brazil for about 1 year. Not only do you get the chance to learn the language and culture quite well in one year, but also to travel and get to know a lot of different places in the country. And there are a lot of those amazing places in Brazil. From endless beaches with white sand and gorgeous water all along the coast to huge rain forest areas like the Amazon or the Pantanal. From stunning waterfalls to crazy but beautiful cities like Rio de Janeiro. From dreamily fisher villages at the northeast coast to the longest and loudest parties at the Brazilian Carnival. 1.) The statue of Christ the Redeemer overlooking Rio de Janeiro is considered one of the seven world wonders of modern times. 2.) The hihgest attendance at a soccer match ever was achieved at the Maracana Stadium in Rio Janeiro with 199,954 people. The match was the world cup final 1950 between Brazil and Uruguay. Unfortunately for Brazil it was Uruguay who won the match 2:1 and hijacked the world cup title out of Brazil. 3.) Brazil is one ot the leading countries in the reduciton of emissions. A large percentage of vehicles runs with gasohol instead of petrol. Gasohol is a mixture of alcohol and gasoline. I got to see and experience a lot in this 1 year in Brazil. I can say there is most likely something for everybody to find in this country. Here I share the best tips of what to places to see and what parties to enjoy when you are going to Brazil.